Dr. Banerjee is the Founder and Medical Director of Pacific Pain Care. He graduated medical school from Imperial College, School of Medicine in London, England. Completed his Anesthesiology Residency at University of Rochester N.Y. and ACGME accredited Pain Management Fellowship Program from the University of California at Davis. He is Triple Board Certified in Anesthesiology, Pain Medicine and Addiction Medicine. He has many years of experience in Anesthesia, Pain Management and Addiction Medicine with special focus on interventional pain management techniques. He has personally performed several thousand interventional spine procedures. Dr Banerjee serves as a Qualified Medical Evaluator for the State of California Workers compensation system. He also holds a Clinical Faculty position for the Adventist Health Family Practice Program and is an Assistant Professor in the Department of Medicine at Loma Linda University Medical Center as well as an Assistant Clinical Professor for the Department of Medicine at U.C. Riverside School of Medicine. Dr Banerjee is honored to be a Medical Consultant and Board Member for many local medical groups, laboratories, medical technology companies, and Surgical Centers. He maintains memberships in many local and national medical societies as well as consulting privileges in various local hospitals. Ms. Dolinskiy our Clinical Nurse Practitioner brings great expertise and experience to Pacific Pain Care. She completed her Bachelors in Nursing (BSN, RN) in Pittsburgh, PA. She later went on to complete her Masters in Nursing and Nurse Practitioner certificates (MSN, FNP) in California. She has many years of extensive experience after working in famous centers like Cedars Sinai and City of Hope. She has worked in Oncology, Pain Management and Palliative Care departments. Ms Dolinskiy believes in an individualized, compassionate, and comprehensive pain treatment program for those afflicted with chronic painful conditions to alleviate suffering. She has built an excellent reputation in managing chronic disease conditions and is a valuable addition to our team. She is well liked and respected by patients and staff alike. Dr. Song is a Doctor of Chiropractic, Licensed Physical Therapy Assistant and a Qualified Medical Examiner. He is also credential as a Diplomate through the American Academy of Pain Management. Dr. Song graduated on the Dean’s List from the Southern California University of Health Sciences. He specializes in chiropractic, physical rehabilitation, exercise physiology and nutritional counseling. Dr. Song’s extensive experience in the Workers Compensation System makes him a valuable asset for the physical rehabilitation of the injured worker and developing in them the physical resilience and functionality which improves their health and wellness. He is available as part of our multi-disciplinary pain management team in our Functional Restoration Program. Dr. Alan Saluta -Physical Therapist received his Bachelor of Science in Health Science from San Diego State University in 1992. He continued his studies and ultimately completed the University of Southern California’s Doctorate of Physical Therapy Degree in 1998. His clinical experience includes extensive inpatient and outpatient orthopedics, inpatient pulmonary rehabilitation, brain injury and spinal cord rehabilitation. Alan’s areas of professional interest include multiple orthopedic spine, shoulder, knee, and ankle/foot courses, which has led to ongoing studies on the latest techniques. More recently, Alan has applied his orthopedic background to the field of Physical Medicine and Rehabilitation. Over the past 8 years, Alan has played an integral part in a multidisciplinary approach to caring for chronic pain patients in the area. His responsibilities include performing an extensive Physical Therapy evaluation and Functional Capacity Evaluation, to determine a patient’s candidacy in participating in a Functional Restoration Program (FRP). He also assists with all daily facets of the FRP program. This intensive outpatient program offered at Pacific Pain Care allows injured workers with chronic painful conditions to get back to a functional state and become productive at home and at work. 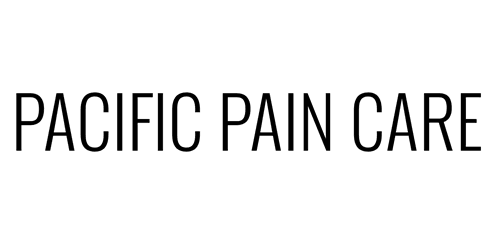 Alan is a welcome addition to the comprehensive treatment options available at Pacific Pain Care Consultants for Health and Wellness. Dr. Powers has more than 30 years experience in the provision of mental health services, and is licensed as both a Psychologist and a Marriage and Family Therapist. He has earned a Master’s Degree from Pepperdine University and a Doctorate from California Coast University. Dr. Powers has provided clinical services in a variety of inpatient and outpatient settings addressing a variety of substance abuse and mental health related issues including Anxiety, Depression, Pain Management, and Relationship difficulties. He has worked as a mental health program manager in multiple settings, served as an oral boards examiner for the California Board of Behavioral Sciences, and as a clinical supervisor for both MFT and Psychologist students and interns. He uses a variety of therapeutic interventions but primarily utilizes techniques associated with Cognitive Behavioral Therapy as this allows clients the opportunity to uncover, investigate, and change their own thought patterns and reactions. He works with clients to help identify personal and treatment related goals, then works with them to develop and implement a specific program designed to maximize their success in achieving these goals. Dr. Powers is available as part of our multi-disciplinary pain management team for individual sessions as well as group counselling sessions in our Functional Restoration Program. Dr. McGregor has more than 20 years of experience in mental health services and Substance Abuse Disorders. She holds a BA in Social Sciences and earned a MA in Marriage and Family Therapy from Chapman University. She completed her PsyD from the California School of Professional Psychology. She has been published in a variety of professional journals and served as adjunct faculty at the University of Maryland, Mt. San Jacinto College and the University of Phoenix where she teaches graduate level students in Marriage and Family Therapy. She was invited to work with U.S military services members and their families overseas at a NATO installation in Germany. She recently completed her research on Bipolar Disorder and how Bipolar Disorder impacts the military families. Brenda is a Molly Pitcher Recipient and earned this honor which is the highest honor given to a civilian female in the artillery community. Dr McGregor’s extensive experience in the Workers Compensation System makes her a valuable asset for Psychological evaluation of the injured worker and developing in them the psychological coping skills to get them more emotionally functional which improves their health and wellness. She is available as part of our multi-disciplinary pain management team for individual sessions as well as group counselling sessions in our Functional Restoration Program.